If it’s your first or fifth port stop in Malaga there is plenty to see and do in this vibrant, great-for-shopping city. Or if a spot of relaxing is in order then La Malagueta Beach is only a short walk away. If you’ve been to Malaga several times and want something different and unique to do why not choose A Cooking Day. A cookery day with a Malaga local, Maite who speaks excellent English. She will collect you from the port and whisk you inland to her family farmhouse and you will gather fresh ingredients from her vegetable garden, cook and eat together. What about a Hammam Al Andalus experience. 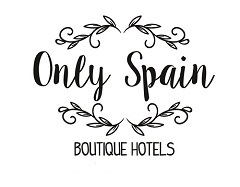 A unique, sensual massage and cold, tepid and hot Arab Baths to cleanse both body and mind right in the heart of old town Malaga.